I’ve spent much of the last week thinking about composition. Over the last year, I’ve mostly painted scenes from around San Francisco with a focus on buildings, streets, and city life. The compositions are dominated by sharp vertical and horizontal lines. Shadows and trees are often the only soft and organic elements. 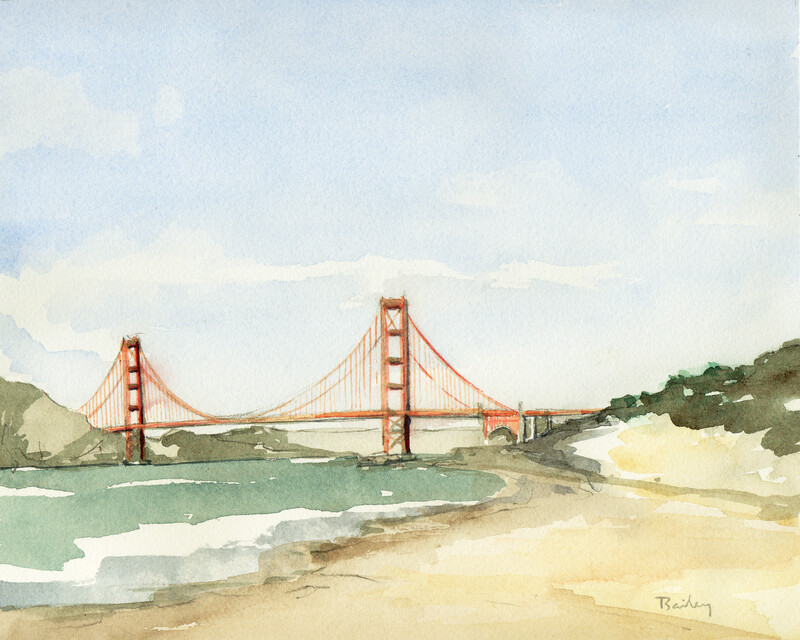 I went back to Baker Beach and did this painting of the Golden Gate Bridge on a clear day. 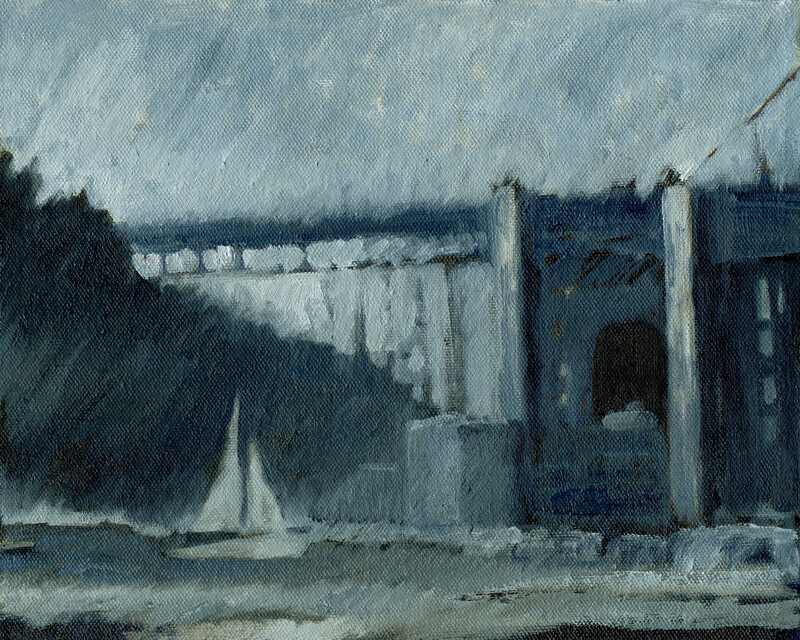 There are still vertical and horizontal constructed elements but it feels more relaxed than my paintings of the city. The curve of the shoreline, the groups of trees, and the color shifts in the sand all create a pathway through the painting that I feel really good about. I’ve been trying to see things in terms of major color groups along with light and shadow as I walk around the city. In the past, I’ve spent lots of time on paintings without thinking about the structure that underlies the work and those paintings end up in a pile with others that “just don’t feel right.” I’ve never been drawn to instructional materials that resemble a recipe or formula for creating art but reading about composition and looking at the way successful paintings are put together feels empowering and fascinating. It seems that lines and the weight of visual elements can make your eyes move in and out of a picture and create balance or unbalance in an unlimited number of ways.